In January, I started reading a chapter a day from Charlie and the Chocolate Factory to my class. 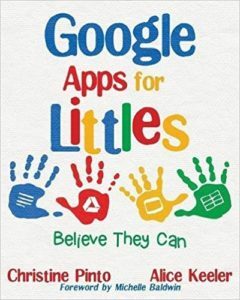 While I read, the kids would draw mental images of each chapter and then share with their classmates. Upon finishing the book, the kids watched Willy Wonka and the Chocolate Factory. Those kiddos really enjoyed the plot from the book, and made connections to the movie when they watched it. I realized how interested the kids were with the plot and characters of the story, and couldn’t let the energy that came from it disappear. 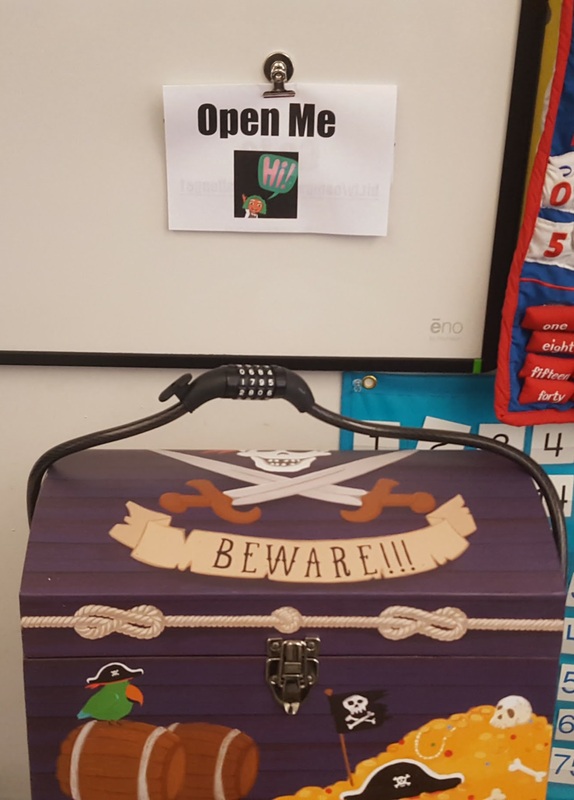 The kids walked in to find a locked up treasure chest with a note on top of it. When I brought the not closer for the kids to see on the carpet, they were ecstatic when they saw an Oompa-Loompa was on it. The note told the kids to go to short link. I asked the kids, “He gave us a website, where do we go to put a website?” When I got the response “the computer!” then I typed the URL and up came a video from the Oompa-Loompa himself. Lo and behold the Oompa-Loompa left video evidence that he was at our school! Only having 30 seconds of recording time, Timmy the Oompa-Loompa left more directions in the note. The Oompa-Loompa already put the kids into 4 groups, I had the kids hold up the number of fingers that went with their group number as I called their names. 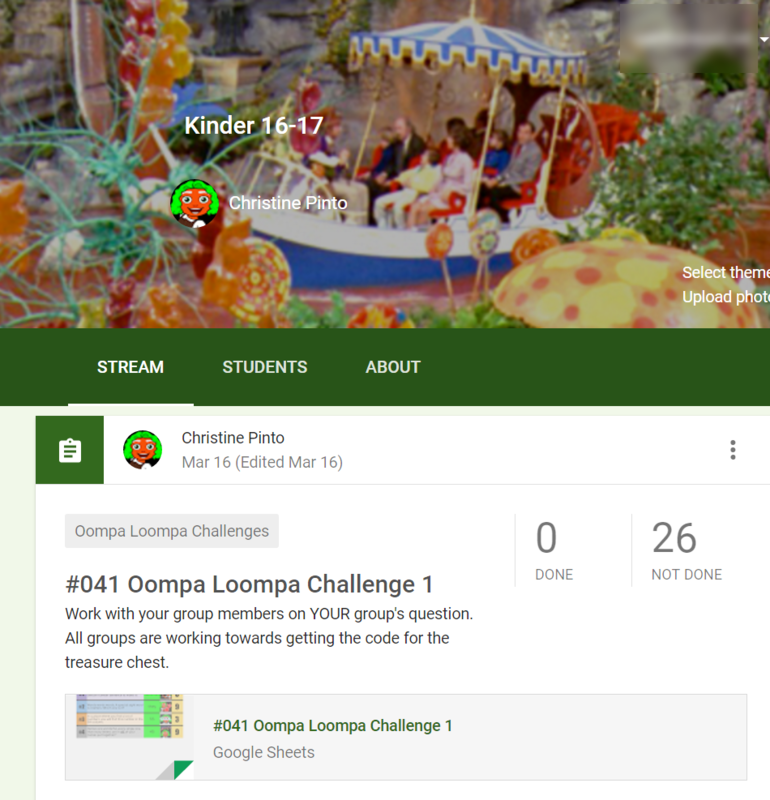 After, we went to check what the Oompa-Loompa left for us in Google Classroom. That Oompa-Loompa removed my profile picture and put his own! He also changed the header image in Google Classroom to a scene from the movie. 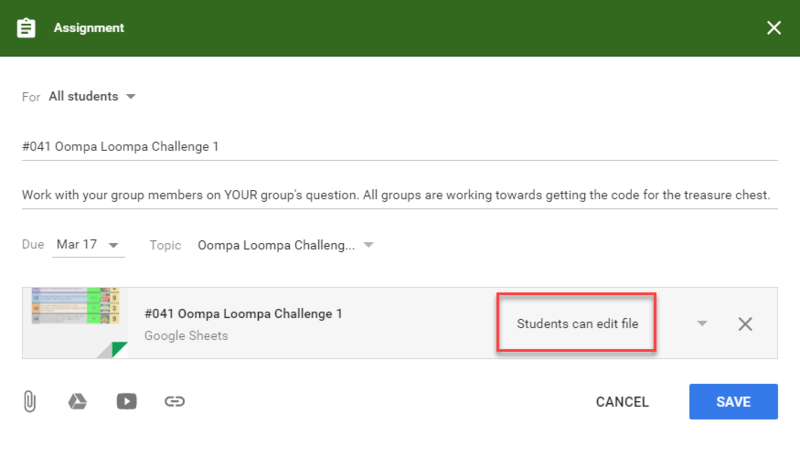 The challenge was in the linked spreadsheet in Google Classroom. Each group was to share one device and answer their group’s question in the yellow box. Timmy shared that if the answer was right, the cell would turn green and give them a digit to the code. Alternatively, if the answer was wrong the cell would turn red and they would have to try again. 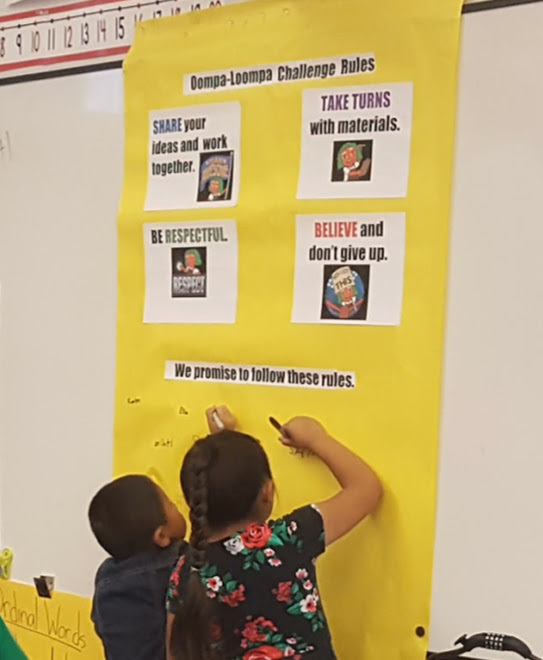 Prior to being released to work, the kids had to sign a contract promising to follow the Oompa Loompa’s Challenge Rules. After all, the kids in the movie had to sign a contract prior to going on their tour of Willy Wonka’s factory. The Oompa Loompa left a package that contained Charlie and the Chocolate Factory coloring pages for groups who finished early. The kids had until 9:30 (about a half hour) to answer their question. If they did not finish, they would get 15 extra minutes for other groups to help them. At that point if the kids still didn’t get it, I was allowed to give them a hint to help them out, since the Oompa-Loompa left me the answers. The kids were off to work! I supplied them with pencils an blank paper should they feel the need to use it. 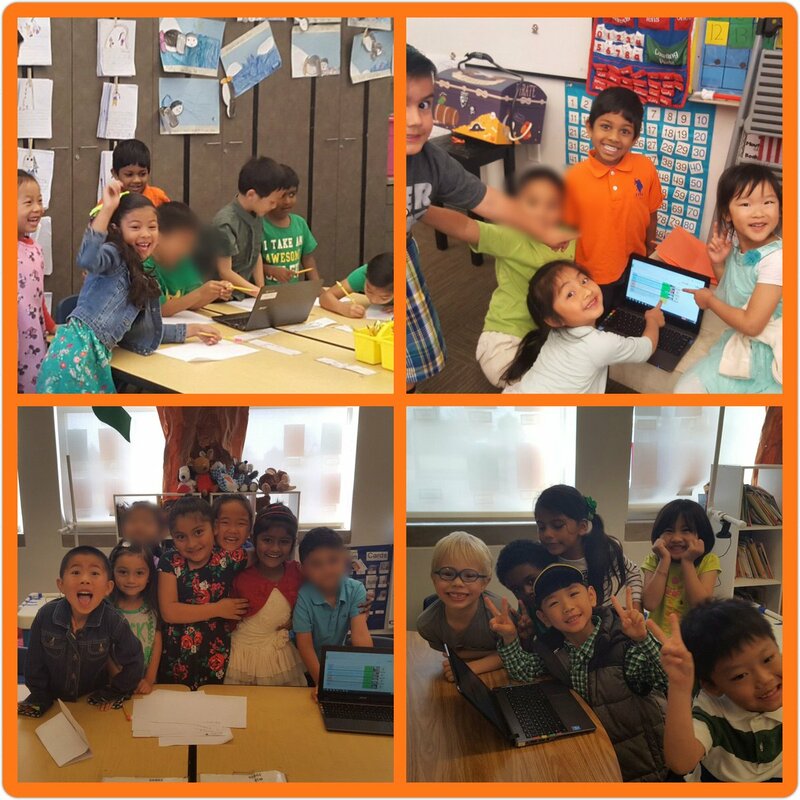 I was thrilled to see how the kids were working together, how they persevered, and how happy they were as a whole group once they got the answer right. When all the groups answered their questions, the kids had all the digits the needed for the code for the lock. We came back to the carpet and a kid from each group came up to put in the code for the lock. The treasure chest was opened and revealed a golden egg! (Recall in the movie when the Oompa-Loompas had to determine of the golden geese eggs were “good eggs” or “bad eggs.” Inside the golden egg, were mini chocolate eggs wrapped in gold foil. 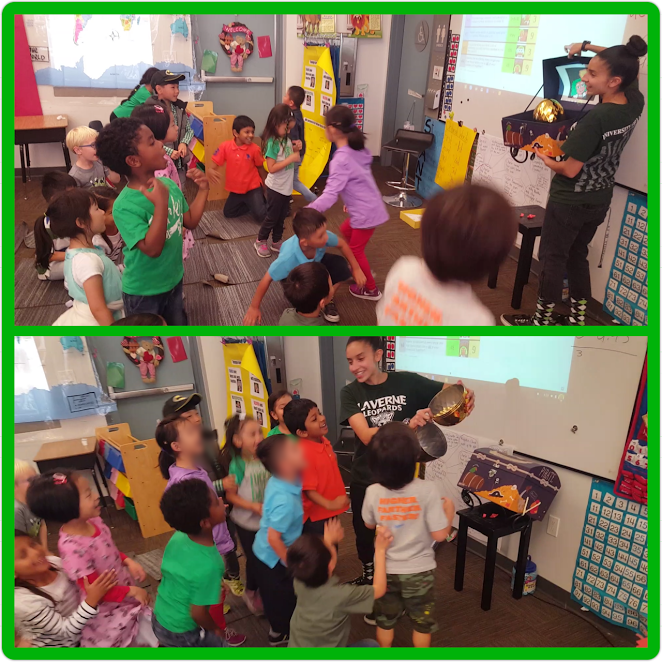 The kids’ energy, excitement, and reactions, were priceless. I came up with this idea on a Saturday night and knew I wanted to implement the activity the following Friday. Each day my ideas kept building. I was excited for Friday to come, and I am more than happy with the way everything went for the kids. 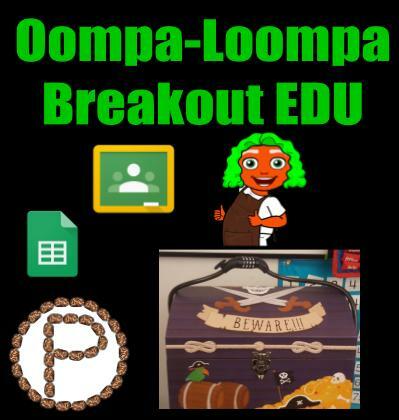 This is a modified version of a Breakout EDU (click here to learn more). In general, breakouts contain a series of puzzles or questions for kids to answer to unlock a box. In my version of the breakout, the whole class was split into four groups to answer one critical thinking question (per group), but together each group revealed a digit to the code upon answering the questions. This was my first time facilitating a breakout, and planned according to what I felt my students could handle. Oompa-Loompa: I used the Bitmoji Chrome extension to create him. I got a little more fancy used my Snagit editor to adjust the colors of the Bitmoji. Oompa-Loompa Video: The talking Oompa-Loompa video was created with the Chatter Pix app for iPads. Treasure Chest: Believe it or not I found it at the Ross clothing store. Bicycle Lock: I got this at Target. Golden Egg: I got this at Target too. In my opinion, this is the fanciest spreadsheet I’ve come up with thus far. I used formulas I haven’t used before (giggles). I am sharing the spreadsheet in case you’d like to “fiddle” with the formulas and make the spreadsheet your own. In the video below I do my best to explain how the formulas and conditional formatting work. 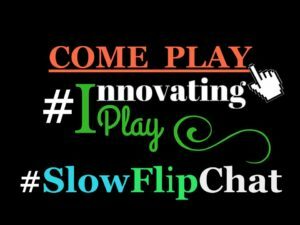 This entry was posted in Breakout EDU, Chromebook, Collaborative, Google Classroom, Google Sheets, Kindergarten, Math, spreadsheets, Template by Christine Pinto. Bookmark the permalink.